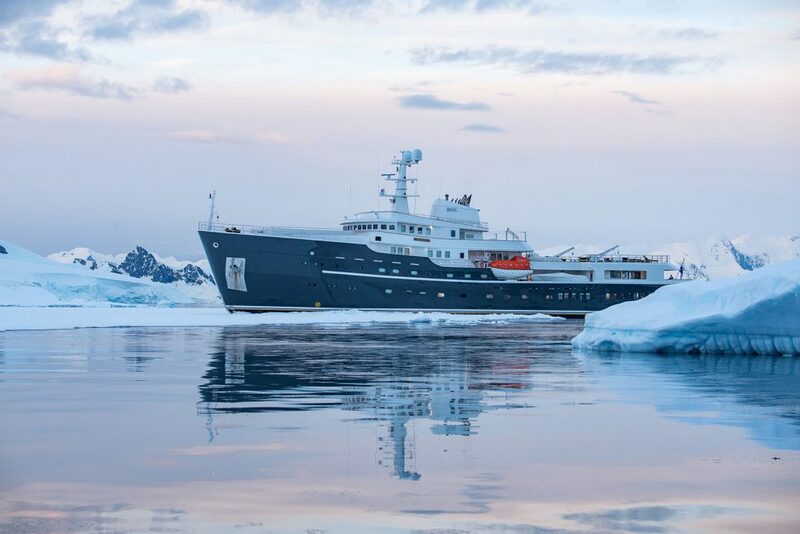 Built for both tropical and polar waters, she carries two Mark-IV Zodiacs for landing on remote Pacific beaches or pushing through Antarctic brash ice. 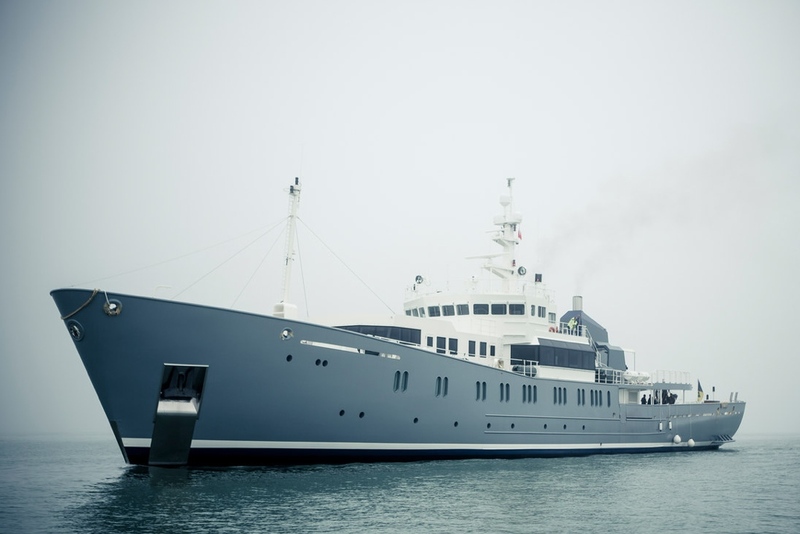 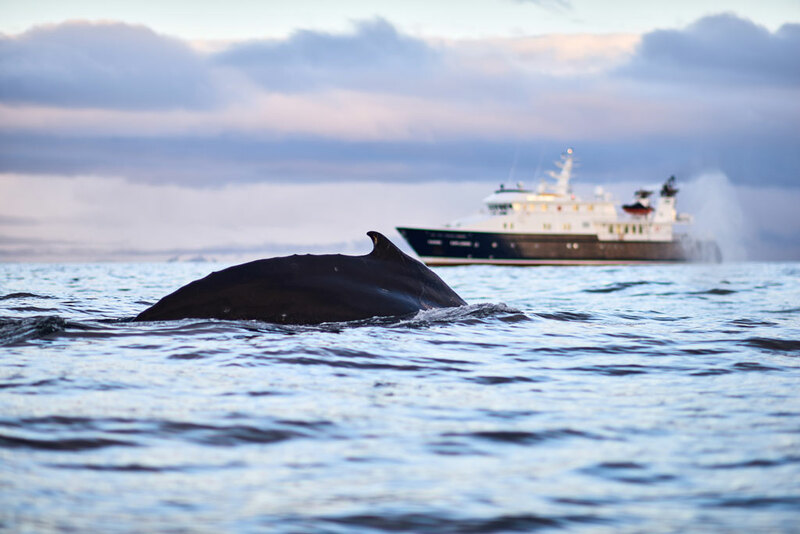 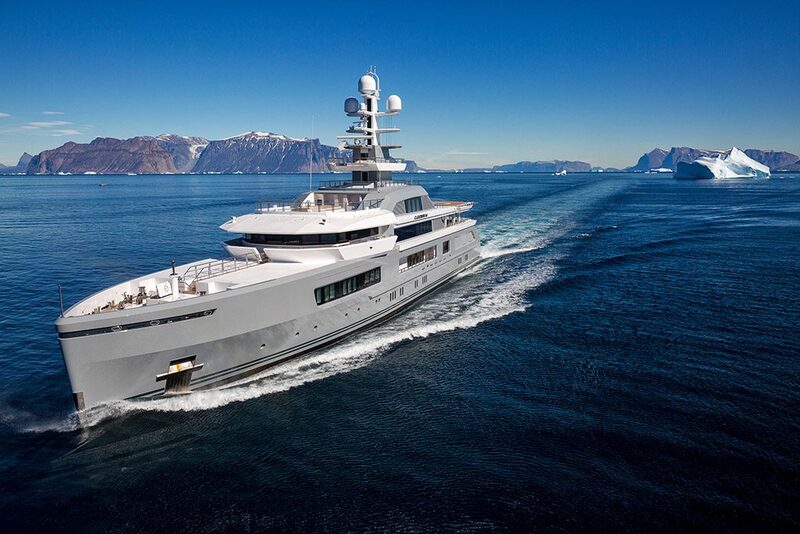 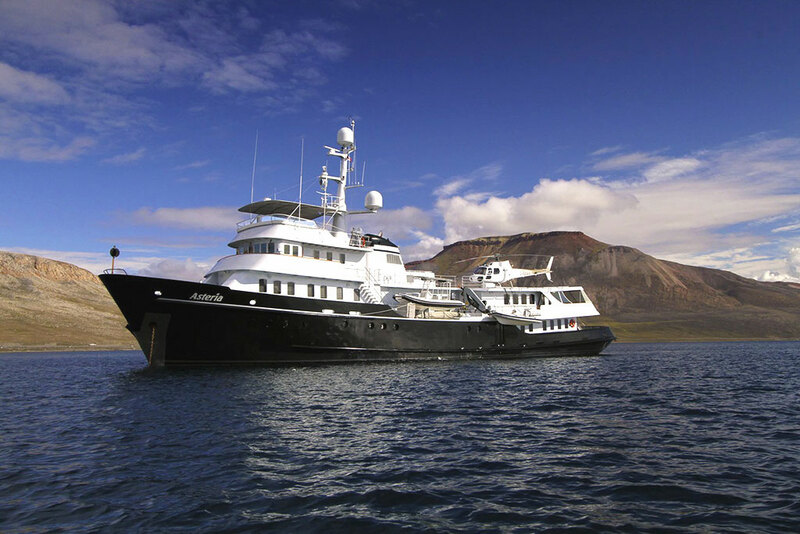 Whether diving in the remote reefs of Melanesia or cruising through the Norwegian fjords, you’ll find the yacht perfectly suited for expeditions. 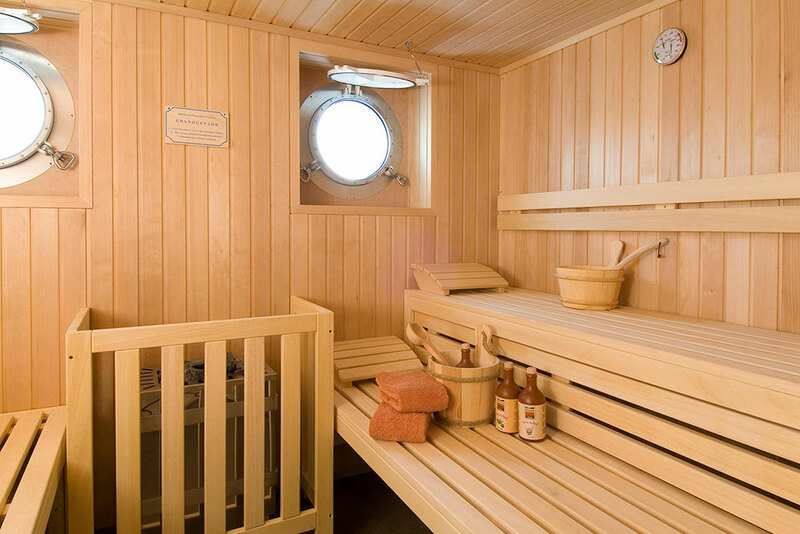 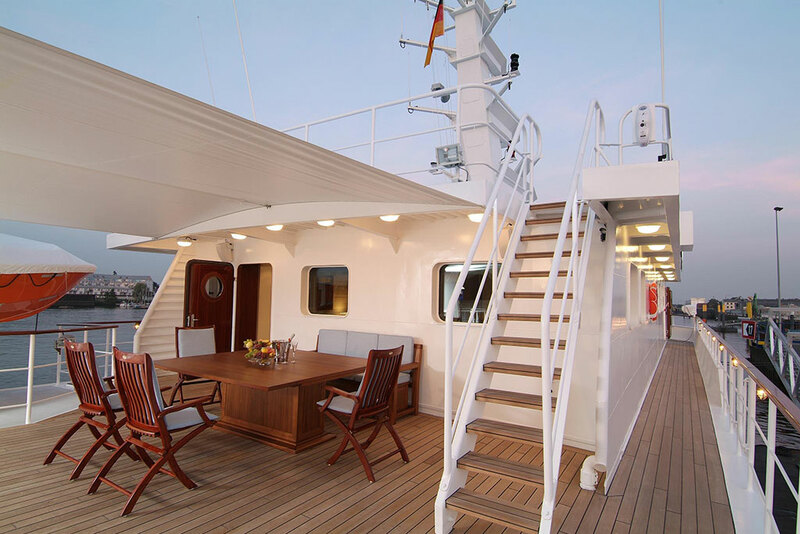 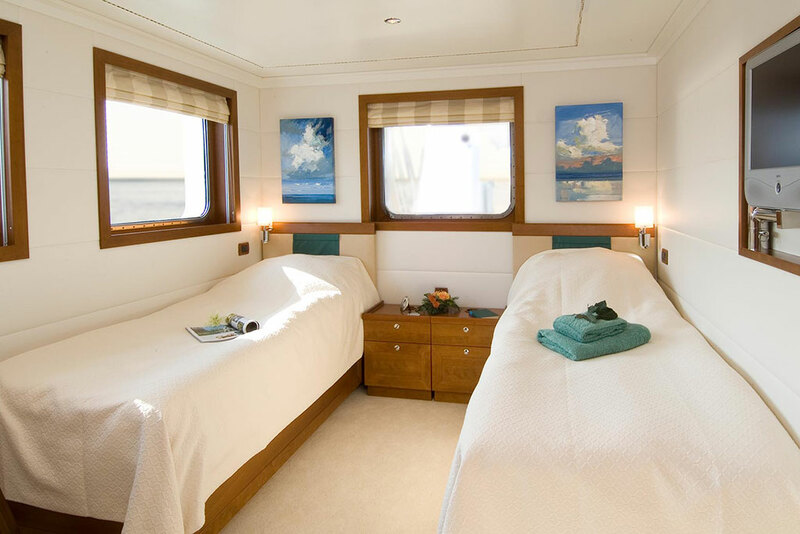 Hanse Explorer’s accommodations for 12 adventurous guests are smart and nautical. 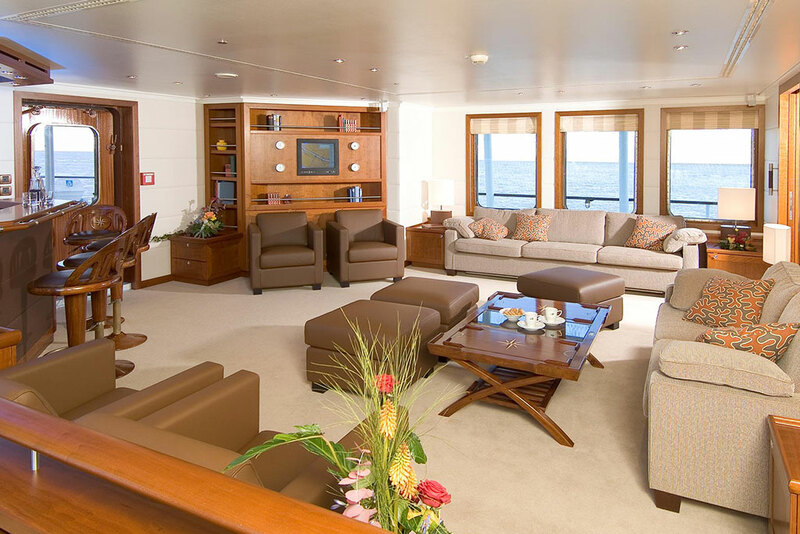 A spacious saloon and adjacent dining room feature large windows to bring stunning scenery indoors, and an expansive aft deck is used for frequent al fresco dining. 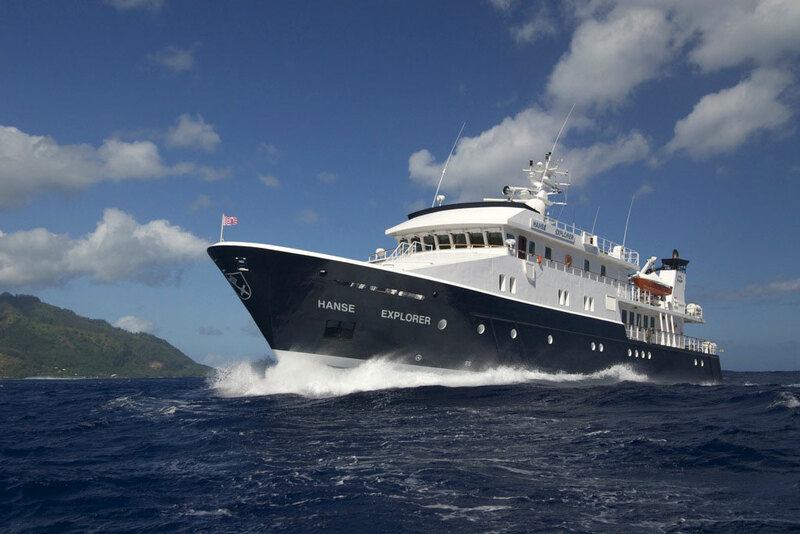 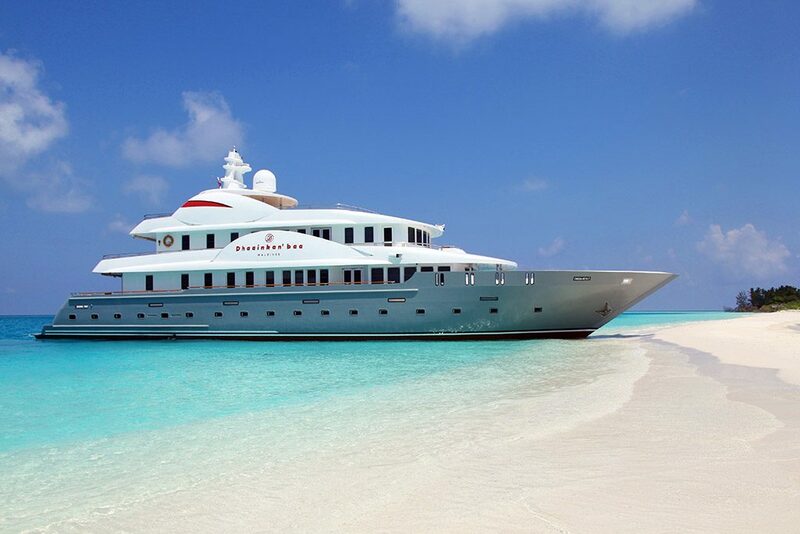 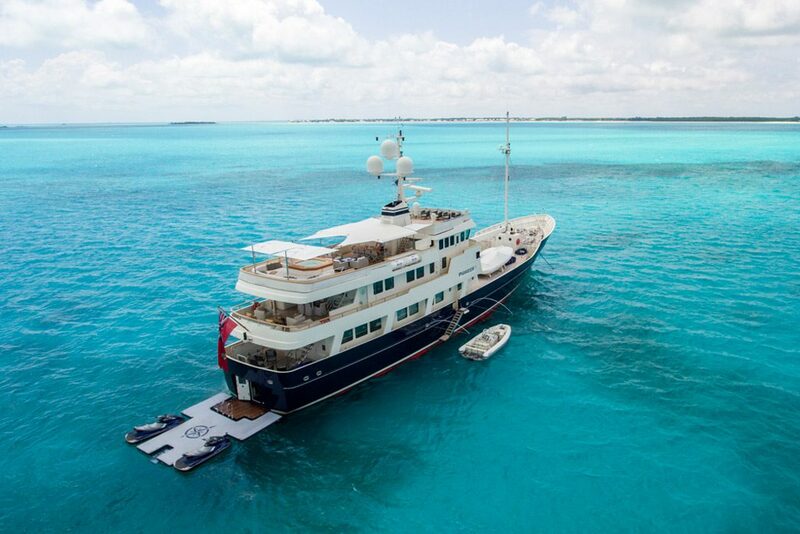 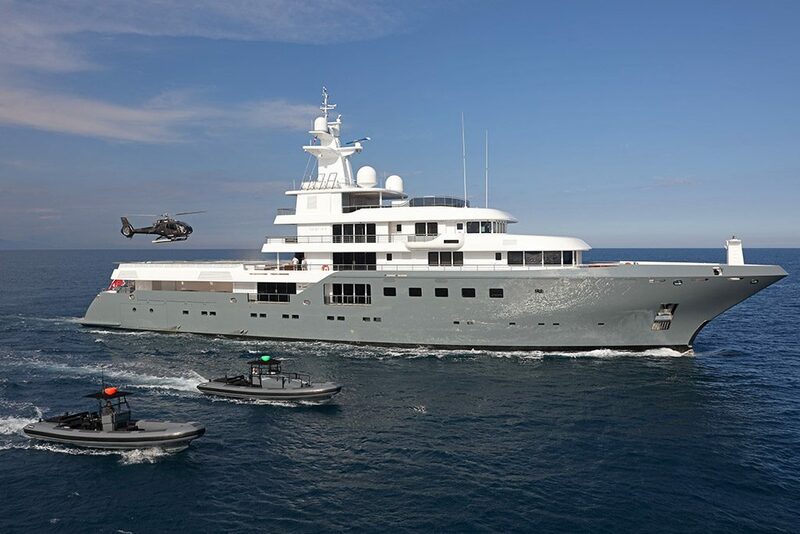 Her professional crew understands the unique needs of expedition clients, whether multi-generational families or a romantic escape for a couple. 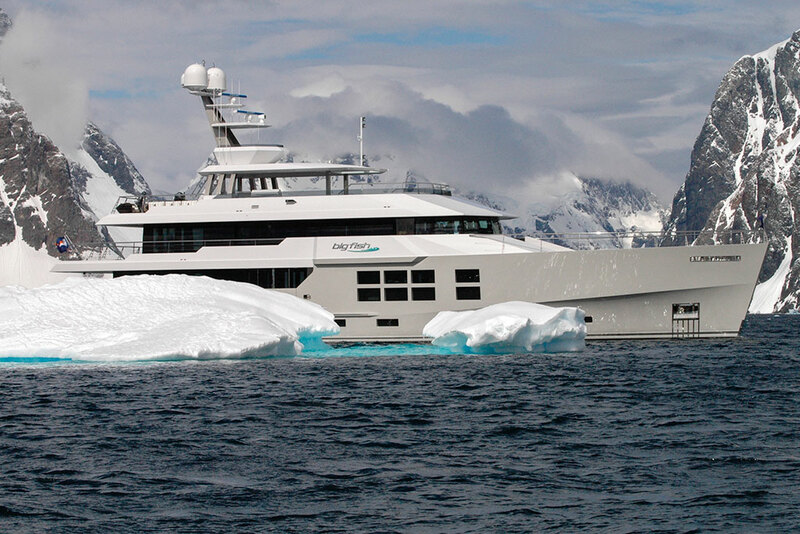 Nimble and stout, Hanse Explorer has repeatedly proven herself for those seeking an immersive, intimate adventure in the planet’s most remote regions. 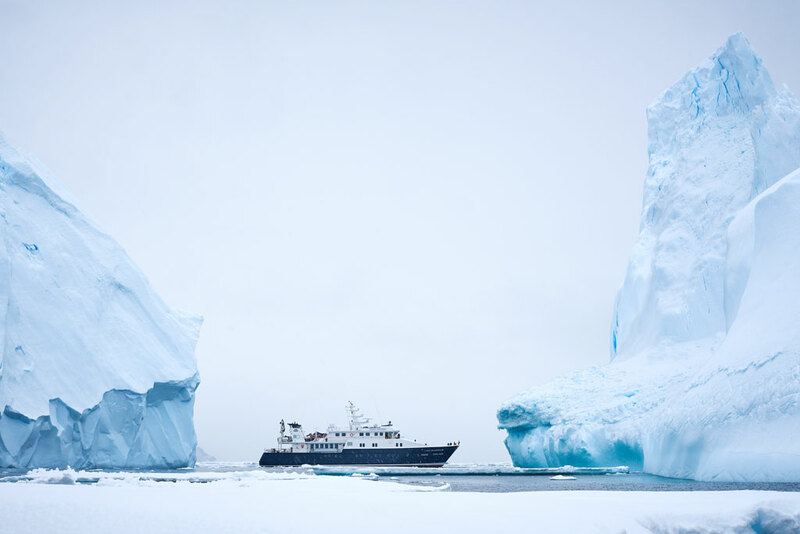 For Antarctic charters that start and finish at King George Island (KGI), a Delivery Fee of Euro 18,000 applies. 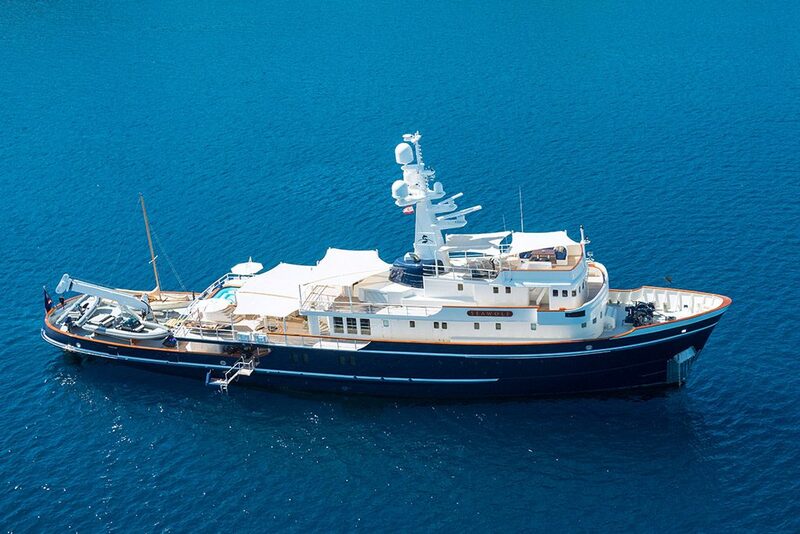 To learn about Hanse Explorer’s pricing and availability, inquire here.